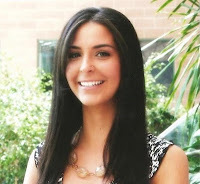 Vanessa attended the Aesthetic Program at Seneca College where she completed the two-year course criteria, along with 200 clinical hours, graduating with honors. Following her graduation she continued her education at the Canadian Aesthetics Academy and graduated as a Certified Medical Aesthetician. Previously, Vanessa worked as a Laser Hair Technician in a doctor’s office. She has now had the opportunity to work alongside Daniela at Freedom Medi-Spa. Focusing on Laser Hair Removal, Microdermabrasion and Herbal Green Peel, she takes pride in knowing that she is using the best laser on the market today. Vanessa takes great care of her clients, treating them with the utmost respect and ensuring that her clients feel at ease as she provides their laser treatments each and every time. Vanessa’s passion to exceed her client’s expectations, is surpassed only by her commitment to their safety in all procedures. She is dedicated and focused on her clients' needs and wants. She looks forward to working with all clients with the ultimate goal of achieving and maintaining their best results.